October 12, 2012 - After logging nearly 123 million miles in flight, the space shuttle Endeavour will travel its final 12 miles on the ground through the streets of Los Angeles where it will dock one last time at the California Science Center (CSC). 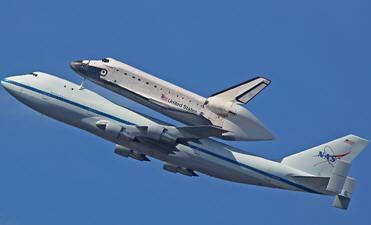 During this historic and unprecedented transport of the space shuttle, the Los Angeles Police Department (LAPD) will rely on Axis Communications IP video surveillance cameras transmitting over a unique wireless mesh network to safeguard the downtown route and protect NASA’s national treasure with enhanced, HDTV-quality situational awareness. Today, Friday, Oct. 12, Endeavour will embark on the “Mission 26: The Big Endeavour” road-trip to retirement, which is a two-day, 2 mph journey from Los Angeles International Airport across the 405 Freeway and through the streets of L.A. to arrive at the CSC on Saturday, Oct. 13, where it will be on display starting Oct. 30. “Crowd and traffic control around major events bring about unique challenges, especially when it’s a once-in-a-lifetime event like this,” said Michael Downing, deputy chief of the Los Angeles Police Department and commanding officer of LAPD's Counter-Terrorism and Special Operations Bureau.